After a bit of a break from dead ancestors, I'm climbing around in the Wanamaker branch of my family tree. Late last year I did an autosomal DNA test in hopes that I might make some Wanamaker connections that lead back to the Mayflower. Why? I wrote about this puzzle in an earlier post, here. So when my DNA matches became available, I eagerly typed 'Wanamaker' into the search box. Guess how many matches popped up? ZERO! I tried every spelling variation I could think of, and still got ZERO. Yes, the search box works - I had no trouble finding multiple matches for several other surnames in my tree, but not a single Wanamaker. What does this mean? Well, one possibility is that even though there are a great many Wanamaker descendants who have trees on Ancestry.com, I'm the only one who has had a DNA test. I find that hard to believe. Another possibility is that someone in the Wanamaker line was adopted. I find that hard to believe too, but not quite as hard. I have birth records for some of them, but certainly not all. does she look the type? And is that a black eye? The possibility that's easier to believe is that one of the Mrs Wanamakers along the line 'played away' on at least one occasion. If so, how will I ever find out who it was? 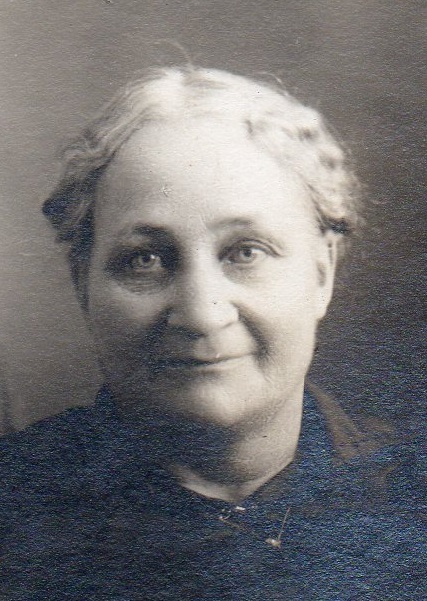 Was it my great-grandmother Alma McConnell? She married William Henry Wanamaker, and everybody knows that William was a difficult man with a fiery temper. Did Alma seek comfort somewhere else? Or maybe it was William's mother, Catherine Bates, wife of Jacob Wanamaker, or Jacob's mother Elizabeth Tice, or... who knows? I'm currently exploring ways of finding out if there's any Wanamaker DNA out there somewhere that I can connect with, and I'm keeping all extremities crossed. If I'm not a Wanamaker, a great big branch of my tree is wrong, and I don't even want to think about that.